A classmate of Yamato. She is first seen helping Yamato when he was dealing with city thugs. She even gives him her handkerchief, later when she discovers Yamato's name and that he was attending the same school she was, she disliked him. It is entirely unclear why she dislikes him but it apparently has to do with a past that Yamato has completely forgotten. Mogami is at first shown to be a bossy and rude person who wants things done her way or no way at all and in quite a few instances strikes Yamato for things that are not his fault. 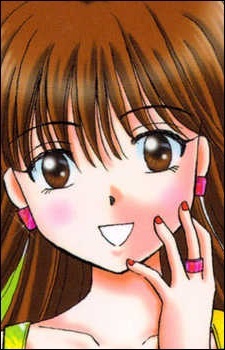 Later she still retains her bossy attitude but has mostly faded to insulting Yamato at every possible chance she can get. Despite this she and Yamato seem to retain a love/hate relationship and get along generally well. However she refuses to deepen this relationship due to Yamato forgetting his past.